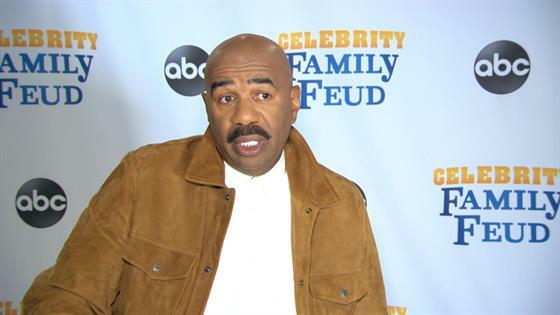 Steve Harvey wants to clarify comments about money and integrity that he made to Mo'nique during a heated conversation on his talk show. The Oscar-winning actress and comedienne recently spoke to him on his talk show about being labeled as "difficult." Harvey, also a comedian, told her she did a "disservice" to herself with the way she handled her call for a boycott of Netflix, which she said offered her less money than other comics. He said, "When you tell the truth, you have to deal with the repercussions of the truth. We black out here. We can't come out here and do it any kind of way we want to. This is the money game. This ain't the black man's game, this ain't the white man's game. This is the money game. And you cannot sacrifice yourself. The best thing you can do for poor people is not be one of them." She then told Harvey, "Before the money game, it's called the integrity game and we've lost the integrity worrying about the money." He responded, "If I crumble, my children crumble, my grandchildren crumble. I cannot, for the sake of my integrity, stand up here and let everybody that's counting on me crumble so I can make a statement. There are ways to win the war in a different way." "My only regret in the whole thing was I misspoke," Harvey told E! News at a Celebrity Family Feud event in Los Angeles. "In the heat of the discussion, I used the word 'integrity,' when really I was talking about the method in which she was going about things, and that's the only thing. I just want my young fans, the ones who look up to me, who consider me a role model in everything to know that I must misused the word 'integrity' in the wrong context." "I was really referring to what we had been talking about all day, was her method of going about things," he said. "That's the only thing, just for the young people out there, the fans of mine. 'Cause I've lived my life as a man of integrity, my work speaks...I think God wouldn't have me in this position if I wasn't doing some things right." In 2015, Mo'Nique headlines when she told the Hollywood Reporter that Lee Daniels, who directed her in Precious, had called her and told her she was "blackballed" after her 2010 Oscar win because she would not campaign for her award. Daniels denied this, saying he has nothing but love for her and would "for sure" work with her again. Since Precious was released, Mo'Nique appeared in a few films but has not acted onscreen since 2016.